LLLT is a leading edge pain relief therapy that uses low-level lasers to improve cellular function. 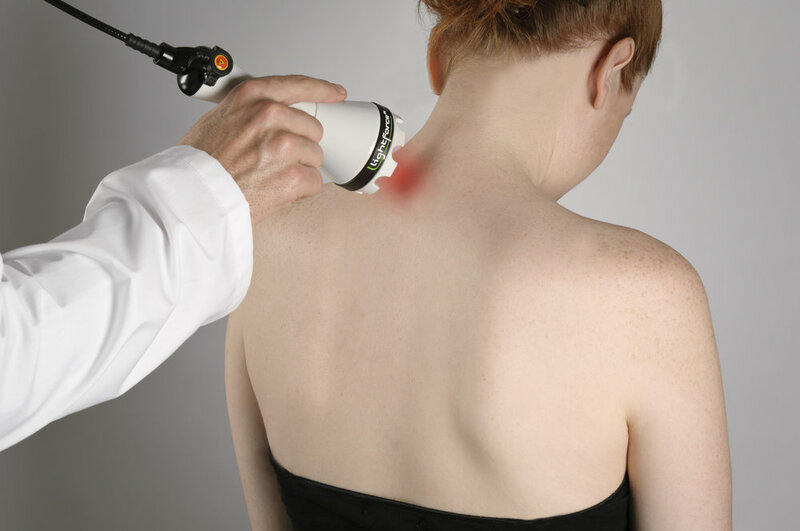 It is a non-invasive, safe, and effective treatment modality where laser light is used to relieve pain, reduce inflammation, and promote healing and soft tissue repair. The light wavelength emitted from a low level laser repairs tissues that have impaired cellular metabolism by stimulating blood circulation and restoring nutrition to encourage the regeneration of healthy tissues. The laser system delivers light energy from infrared laser radiation, called photons. These photons are absorbed by damaged cells causing stimulation of the mitochondria to accelerate production of ATP. This biochemical increase in cellular energy transforms cells from a state of illness or injury to a stable, healthy state. Applied Commonly in Sports after Injury or Swelling.